At SpaceConnect, we are guided by a singular passion for capitalizing on commercial real estate opportunities. This commitment translates into exceptional service and results for clients as we play an integral role in the success of their brands and businesses. Our Consulting Services works on behalf of both clients and property owners, developers and investors streamlining all aspects of the real estate process from strategy to execution. We work with our clients to understand business objectives and develop strategies that are instrumental in achieving targeted goals. 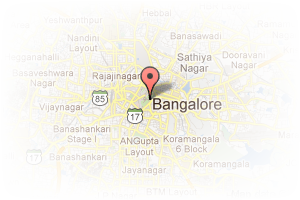 Address: #53, 16th Main, 4th Block, Koramangala, Bangalore, Karnataka, India. 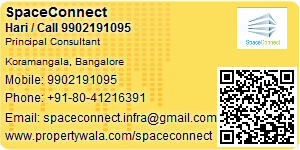 This Broker Profile page for "SpaceConnect" has been created by PropertyWala.com. "SpaceConnect" is not endorsed by or affiliated with PropertyWala.com. For questions regarding Broker Profiles on PropertyWala.com please contact us.